Beautifully drawn village Hotamis Kilim with numbers of delicate motifs in elegant all naturals colours. This is a rare piece in big size, maybe kept in a chest for years. 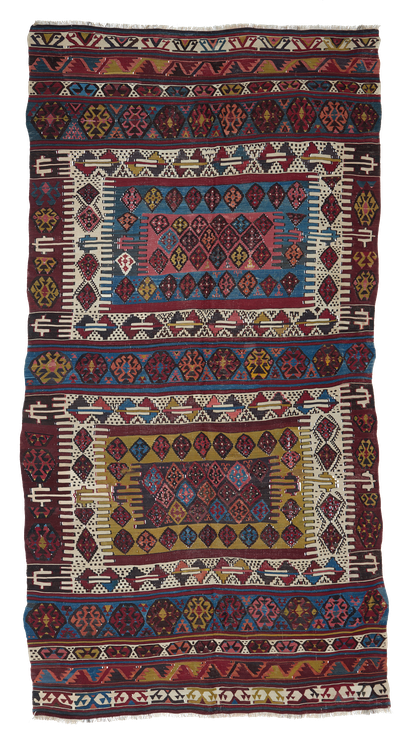 Great details (like the different border design), and quiet harmony for this exceptional Kilim.